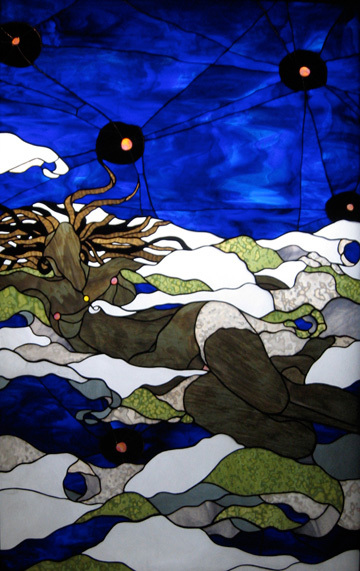 Goddess of the Night Sky – Feral Studio Custom Leaded and Stained Glass Windows for the San Francisco Bay Area, Berkeley, Oakland, Piedmont and the East Bay. This 4 ft x 6 ft window was made for Deity Nightclub in Brooklyn NY. All 6 windows were backlit by LED lighting.